Bayern Munich winger Douglas Costa has emerged as a surprise target for Juventus ahead of the summer transfer window. 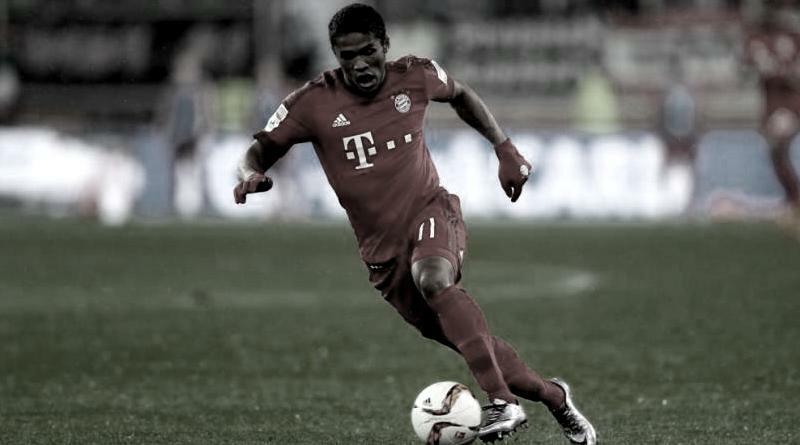 According to the football transfer rumours in German Media, Juventus are targeting Bayern Munich winger Douglas Costa. Douglas Costa has joined Bayern Munich from Shakhtar Donetsk for a fee in the region of 30 million euros in July 2015. The 26-year-old has a valid contract with Bayern Munich until June 2020. Since his arrival from Shakhtar Donetsk, Douglas Costa has scored 14 goals and provided 27 assists in 76 games for Bayern Munich, including seven goals and provided nine assists in 33 games in all competitions this season. The 26-year-old is considered to be one of the best wingers in Brazil. Douglas Costa has represented Brazil at Under-20 level, winning 12 caps and scoring four goals, before making his senior international debut in November 2014. As a member of Brazil national football team, Douglas Costa has won 18 caps and has scored three goals. The 26-year old is thought to perfectly fit the profile of attacking player Massimiliano Allegri wants to target in the summer transfer window. Juventus manager Massimiliano Allegri wants to continue to strengthening his squad so they’re able to compete both domestically and in the Champions League next season. Euro Football Rumours understood that Juventus representatives will meet Bayern Munich executives in order to discuss a deal for the Brazilian winger. How strong that interest is and whether Juventus will make a summer move remains to be seen but it is certainly one worth keeping an eye on.